Currently, we are one of the biggest emitters of greenhouse gases per capita in the world and the federal government’s latest projections show that the country will be spewing 722 million tonnes (MT) of greenhouse gas emissions in 2030, a far cry from the 517 MT goal pledged in the Paris Agreement. A more hopeful projection that includes additional policies and measures currently under development would squeeze emissions down to 583 MT by 2030. Canada needs a basket of common-sense policies (flex-regs) that present default choices that make life a little bit more affordable and comfortable for everyone. While a carbon tax can be helpful – to the extent it doesn’t politically derail the whole effort – it is not really where the action is, especially now that “renewables have gotten so cheap [in relation to fossil fuels],” in the words of Jim Barry, global head of BlackRock’s infrastructure investment group. To wit: The Clean BC climate change plan, which sets the new standard for climate policy in Canada, includes a rising price on carbon, but projects that it will account for less than 10 per cent of the province’s overall greenhouse reductions by 2030. • Institute zero-emission vehicle mandates that require manufacturers to sell a minimum and rising mix of non-emitting passenger and freight vehicles, similar to what’s being done in Quebec, British Columbia, California and China. This overcomes dealer inertia and helps put Canada in the driver’s seat for a world where electric vehicles will be cheaper than gas guzzlers in the next few years, according to Bloomberg. • Implement net-zero ready building codes for new buildings along the lines of the BC Energy Step Code and couple them with fuel-switching incentives and turnkey financing targeted at contractors to help decarbonize and climate-proof the existing building stock. 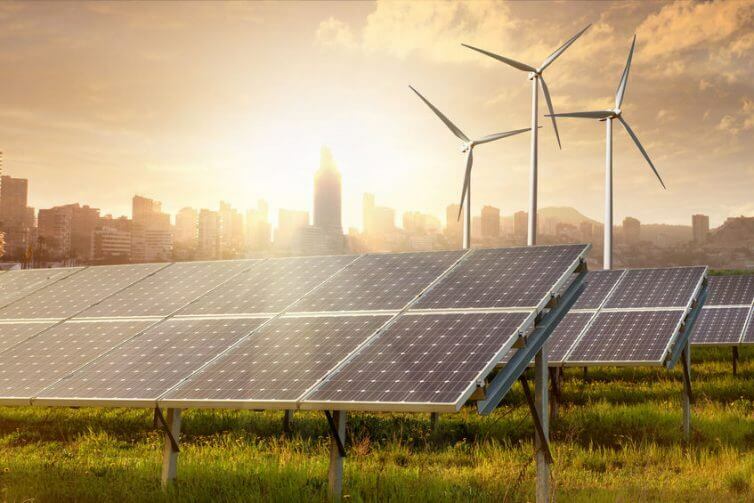 • Move the coal phase-out up to 2025 from 2030, and hold auctions for renewable energy along the cost-effective lines already in place in Alberta. • Consider a public-private partnership styled after the Alberta Oil Sands Technology and Research Authority to transform Canada’s abundant natural resources, including bitumen, into the world’s biggest storefront for clean commodities – a global market growing to $1.5 trillion annually by 2030. Corporate Knights research has crunched the numbers to implement these suggestions and has determined that in an ambitious scenario, these policies could catalyze an additional $36 billion of investment per year from 2019 to 2025. They would also present significant opportunities for Canada’s financial sector to develop world-class expertise in green real estate and infrastructure financing as well as sustainable wealth management, the fastest growing asset class at scale in the world. This approach has the potential to generate billions of dollars in returns for Canadian pensioners and shareholders. In return, Canada’s emissions would plunge to 571 MT by the end of 2025, and living standards, our GDP and jobs would rise. 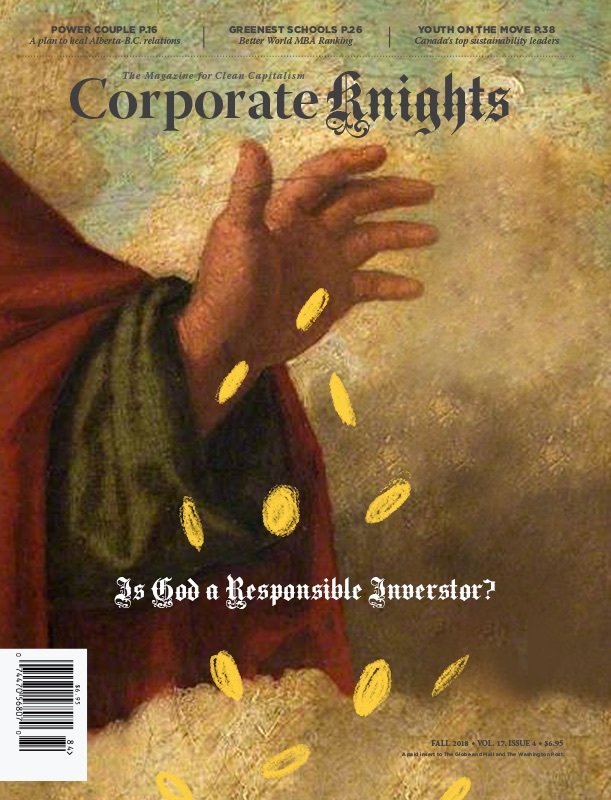 Toby Heaps is CEO and editor-in-chief of Corporate Knights, which acts as secretariat to the Council for Clean Capitalism.